You have your Big Local plan, now how will you put your ideas into practice? 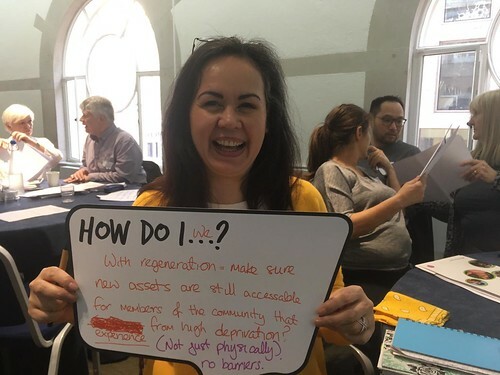 This is the latest blog from the Community Development Foundation (CDF) research team, who are conducting research on the Big Local programme. We have recently completed research on behalf of Local Trust, looking at how five Big Local areas and six other community groups are putting their plans into action. 1. Have you planned delivery of your projects carefully? Areas found it was important to ‘make sure you’ve got a good project plan’ (Marsh and Micklefield), so set reasonable and realistic goals and deadlines at the start. Recently, we looked at the monitoring reports for Getting People Involved Round 2 and Getting Started, and found good planning to be one of the top lessons from areas during these first rounds of Big Local funding. The old saying that ‘even the best laid plans go awry’ is also important to remember. Things won’t always go as planned, but there will always be a way to adapt to the circumstances and find a way forwards. Flexibility and persistence are important in achieving goals – Rudheath and Witton found that there needed to be a ‘degree of flexibility…to make sure that we can actually deliver’.They lost their match funding for the outdoor learning adventures, but successfully applied for funding from a different source before the launch of the project. 2. Are you making the most of what’s already in your area? This could be identifying the experience of residents or of partners, linking with local projects that are already happening, or identifying buildings or community spaces that you could make more use of. Heart of Pitsea urged areas to ‘…think about who’s got expertise in terms of delivering [projects]…draw on some of the provider network in the area’. Lots of Big Local areas are also making good use of local sources of funding and assets. Our analysis of the Getting Started and Getting People Involved monitoring forms showed that the average area received just over £3,000 of match funding (cash donations) or in-kind benefits (such as staff time or use of a meeting space). 3. Is delivering your plan taking longer than expected? 4. What’s the best delivery approach for you? Bidding– Rudheath and Witton awarded funding to an outdoor learning adventure project for young people because they received a funding application from the project which met their plan priorities. The approaches used depended on the type of project, with different approaches being used across different projects, or in combination for one project. For example, Rudheath and Witton used a co-working approach for delivering outdoor learning adventures with Grozone, but the project was funded through a bidding approach. To help areas work out what approach is right for them, Local Trust have created new programme guidance informed by our research. It includes more detail about the approaches, and the advantages and disadvantages of each. You can read the guidance from Local Trust based on the research here and read the Plans to Action research report, including case studies, here. We’ve provided contact details for each case study area, so that you can talk to them for more detail. If you have any further questions about the research, please contact Jayne Humm, Programme Manager at Local Trust, or Daniel Pearmain, Research and Insight Manager at CDF.